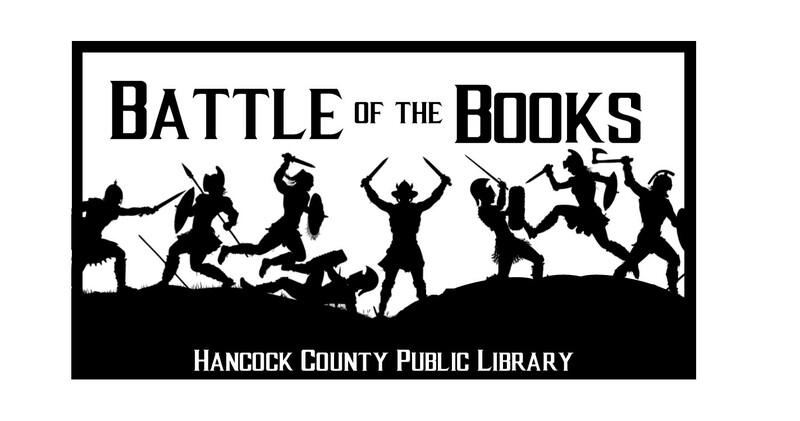 Teens in 8th & 9th grades, compete as part of your school's team during our trivia contest, "Battle of the Books." Read 10 teen books from our list beforehand, and we'll ask related questions. The winning team takes home a trophy, and the team's players each take home a gift card and prize book. If you're interested in participating, please contact the coach from your Hancock County school.